If you were browsing through this week’s Target ad you may have passed right over the adorable little boy in the bright orange shirt smiling at you on page 9! And if so, I’m glad! They said that people born with Down syndrome deserve to be treated the same as every other person on this planet. The future is bright for people like my son! One of the reasons I started this site was to give the world an opportunity to see first hand what it’s like raising a child born with Down syndrome. I had this crazy idea that if I could give the world a window into the life of a family raising a child with special needs it would help them see that people like my son are much more typical than they may think. I believe the story we are telling by posting a daily one minute video of our son’s story is doing just that. I also have this crazy dream that together we can use social media to help spread the message that children born with disabilities deserve love, not pity. But I can’t do it alone. I need your help. Would you please help spread that message by clicking the ‘like” button that appears right below this post, tweeting this post out to your twitter followers, and posting it on your Facebook wall? Please be sure to leave your email in the box below and stay up to date on all of our newest posts. The story we are telling is one that we believe needs to be shared. Will you help us share it? I’ve never been more excited about the future of individuals born with disabilities. The possibilities are endless, and the future looks bright! As a father of a son born with a disability I want to sincerely thank you. I hope that more companies choose to follow the great example that you guys have set. By choosing to embrace the exciting future and limitless opportunities for people like my son, organizations like yours are leading the way in showing the world that our world isn’t forced to live in the past. Thank you Target. By not saying anything, you said a lot. What do you think about companies who understand the importance of including people born with special needs? When companies do this correctly, like Target and Nordstrom have, does it influence your decision to shop with them more? I love it when people/companies look at our kids as what they are: kids! period. I applaud Target and Nordstrom for doing that and would definitely be influenced to shop more in their stores because of that fact. Exactly! When I see companies like Target include kids like ours, it makes me think highly of them…and certainly influences my shopping decisions. I know that Babies R Us has a ‘differently abled” catalog and I think it’s great that they are being inclusive, and I agree it’s helpful to have a catalog to help people learn how different toys help different “developmental areas.” What I don’t like is having two catalogs…a “differently abled kid” toy catalog, and a “typical kid” catalog. As I said in our Christmas gift idea post (http://sweltering-berry.flywheelsites.com/gift-ideas-down-syndrome/)….our kids like toys, period. I’d like them to find a way to make one catalog and maybe have some type of call out or index that explains how what toys help to develop different areas. It’s not like kids without a disability don’t need to develop also. I don’t think it’s necessary to have two catalogs. That’s just my personal preference, I still applaud babies r us for being considerate towards our kids. I think it is awesome!!!! My beautiful 7 month old son Timmy has DS. I would love to get him into modeling. My wish for him is to be excepted by everyone. I hope that people will see him through my eyes, a beautiful, sweet, loving baby boy! I try to be an advocate for him and other children with DS whenever I can. My 16 yr. old niece did a speach on DS and asked me to bring Timmy to her class. Timmy went to her school to cheer her on, we are so proud of her. I also entered him in a pagaent, he won!!! ( he was the only boy in his age group) He acts no different than any other baby and he looks no different to our family. We are so thankful that he is healthy, other than getting a lot of colds. God blessed us with our little Timmy and we couldn’t love him an ounce more! Leah, how can anyone NOT Love any Baby? The best part is watching & interacting with them as they grow!!! A separate catalog for kids with disabilities is not inclusionary. The very nature of inclusion is that our kids are not set apart from others, but treated as one the crowd. I often think how little, and yet how much, has changed for people with disabilities. In many ways, I think ability is the last frontier in breaking down barriers for individuals who are not in the majority. And yet, when my daughter was born in 1977, states had just been given a mandate to provide education for people with disabilities. Imagine, 35 years ago, our kids could be denied the right to public education! How much has changed… How much more must be changed. I have 2 kids with hearing loss and they have been in the Toys R Us “differently able” catalog. Toys R Us actually uses some of the kids that they feature in the differently able catalog in the regular weekly ads. Many of the kids that are featured in the Toys R Us ads/catalogs are from the NJ area where the company is based. Some are like my kids who are chosen from independent applications and some are from modeling agencies. To be inclusive they need more parents willing to have children be models or actors or musicians. So Ryan needs friends in the modeling world and Becky (on Glee) needs friends. Get Noah an agent or check out Toys R Us corporate page to find a way to get him in the regular ads. He is very photogenic and would be a great model. Karen – I’m sorry, but your comments imply that you’ve completely missed the point that Noah’s dad was making… why should Down’s Syndrome kiddies have their “own” catalogue – they don’t wear different clothes? Walmart also does extensive work for the disabled as well as hires them to work in their stores! Keep walking the talk, we are all truly alike …just different. Target’s ad walks that talk!Applaud any one who is trying. This is amazing how people with Down Syndrome have come to be accepted as part of everything. My brother, Brian will be 50 this year. When he was a child, maybe 7 or 8 a “modeling” company did one of their solicitation calls to our house. They said they wanted Brian to be a model because they saw what a good model he was through the pictures that were taken at the local photography place( probably a department store). My mother exclaimed how happy she was that they would include Down Syndrome people in the profession. She got silence on the other end of the phone, with a reply, “Oh, I am sorry maam, their must be a mistake!” Well, now I can see that their will never be this type of “mistake” again! My mother and father were really pioneers in the 1960’s to help with acceptance of people with disabilities. I am the mother of a son, Louis, with DS, who is 22 years old and further evidence that Target “walks the walk” about valuing diversity is that they hired my son as a Sales Team Member in Hard Line (hard line is what you use; soft line is what you wear) this past October. Unfortunately, none of the Target stores in our area kept any of their seasonal hires b/c their revenue was not as high as they needed it to be during the holidays. So Louis got layed off like everyone else, but it was a great experience for him and a good job while it lasted. I attended the new employee orientation with Louis before he started working and was VERY impressed with the videos they show employees about how to provide shopping assistance to people in wheelchairs, who are blind or hearing impaired — it was quite amazing – neutral, sensitive, appropriate and effective training. You know, a lot of kiddos with disabilities actually require some different toys for their appropriate stimulation. They are designed for specific needs for these children. I haven’t seen the catalog, but just a thought. I couldn’t agree with Lila more! It is so comforting to know that society, as a whole, is progressively becoming more accepting and inclusive of our kiddos. Hi. My son Ross is 14 months old and has DS and also we are suspecting bronchiomalasia. We go for a sleep study on the 10th. He always sounds horrible after his bottle. Constantly suctioning him and the coughs are very mucousy and residule formula. Yuck! I just do the best I can to keep him clear. What is the chronic microaspirations you mentioned. is this something that I should worry about with his brochiomalasia? Your experience and thoughts would be welcomed. I also have a son with DownSyndrome. He is going to be 14 years old on Jan 29. We went through the respiratory issues and RSV complications. In and out of the hospitals, T&A, sleep study, potty trained at 6 years old, and we currently have an eating issue (he refuses to eat solid foods). It could be that he choked on something or he is controlling the situation (his father and I got divorced) However, he is growing and is healthy, active, and included in a typical middle school setting as well as a daycare. They have all accepted him and love being around him. These kids need inclusion to learn how to behave “normally” and interact with others. He is such a joy. I find that as they get older, it gets easier. I also see that Giant Eagle has children with disabilities working for them in all types of capacities, kudos to them as well. They are no different than someone who is typical, just a little slower, and they need to be able to contribute to society as well, and learn grow and eventually venture out into this world on their own. I am so pleased to see this progress in our society. but I am not surprised that Target is one of the company’s involved. I have a brother with down syndrome. He is now 53 years old. Target hired him back in the 80’s as a cart attendant. The company could not have been more fabulous to him! I have always been loyal to them, but this is a reaffirmation of my decision! Thanks for sharing! Thanks for inspiring me. I wrote Target an I love you email from our Noah (5-DS). So wonderful to hear GOOD news about corporate America. In this day and age of Corporate unfriendliness and bad press, it’s nice to see something so positive…Kudos Target. My neice posted the link on FB. When I read it and looked at the picture, I had to post it. This is great. I am in total agreement. I plan on shopping more at Target to bring them new business, and give them my complete support. I want them to know that because of what they did, is the reason they will gain me as a customer. Children are an incredible gift from God. My 15 year old grandson was diagnosed with Asperger syndrome, and my friend Aaron Shust youngest son was born with Down Syndrome, and he is the sweetest baby ever. Thank you, Noah’s Dad you are an awesome father. Thank you Target!!! I have always loved shopping at Target and now I do even more. It makes me so happy to see that great companies are choosing to do the right thing- without asking for credit for it or calling attention to it- and giving our kids the chance to shine like other typical kids. Thank you! Thank you! Thank you!! I agree. Traget earned about 10 million cool points in my book when I saw that ad. I hope other companies follow the lead of classy companies doing the right thing like Target, and Nordstrom. This post just proves you don’t also have to go around telling others of your “good deeds” to be noticed by a community of people Actions speak louder than words, and Target’s actions spoke here. Ive seen that little guy in ads before. Too cute. One time he was in a leather bomber jacket. A.dor.able! Love it! Definitely would have more respect for any such company and it would definitely encourage me to shop in their store – well done Target! It is so wonderful to see kids like ours getting treated like all others. Everyone who has a child with special needs should write to companies like this every time they see something like this and encourage and thank them. I do. Thanks for bringing this one to my attention; I missed it! Howe you guys had a great News Years! I agree in writing them to let them know we saw it and we appreciate it! I actually am a photographer and I have a daughter with Down Syndrome. I started a blog dedicated to special needs models I photograph and will have some new models up soon! I’ve been contemplating for a while now, and finally decided to do it after I published my book. I have been silently following this blog for a long time, first time commenter! I LOVE YOUR BLOG! Here is the modeling blog if you’re interested in checkin it out! I may be the lone wolf on this one. I am not excited by this post. I kind of feel like it’s the type of situation where everyone applauds a dad for well being a dad. They think it’s great when they see a father change his kid’s diaper and take them to the park. That’s what they’re supposed to do. In this case, I don’t see anything extremely exciting about including “a special needs” child in the ad. Because for me, it’s no different than a typical child. I guess I do see that they didn’t HAVE to use a child that wasn’t “normal”, but I don’t know, I don’t see anything praise-worthy about it. I’ve seen lots of other companies that have used all different types of babies in their ads, such as Sears (just one that I can think of off the top of my head). I bet, it’s something that you just didn’t pay attention to before now. Don’t get me wrong, I think it’s a good thing, just not something worth praising 🙂 This should be the norm. Michelle, it SHOULD be the norm, but sadly it isn’t, and as the parent of a daughter with Down, I believe it’s only by encouraging, recognizing, and thanking stores that do this, that we can make people understand that there are lots of different kinds of people in the world, and they don’t all look alike! I’m a little torn on how best to approach situations such as this. As an advocate of people with disabilities one of my passions is helping the world see that all people have great value and worth, and deserve to be treated with dignity and respect. I like to think of myself of being able to find creative ways to do this, but the only way I know how to be an advocate is to….advocate. I want companies (and individuals) to know that their efforts to not be like the main stream (“main stream” being those who often treat our children differently and EXCLUDE them as result of their disability) …instead they choose to see our children as the “same” as other children and INCLUDE them. The tension I have is the very thing you just mentioned. On one hand I like the fact that a child born with Down syndrome can be included in ‘typical’ ad, and not made into a PR thing. As I said at the start of this post, I like the fact that many people probably passed right by the model in this ad and not even notice he had Down syndrome. I like the fact that it’s low key. I guess I want to be the one that draws attention to it…not the company . I almost want them NOT to want people to know they doing it. I want to include children with disabilities because it’s important to them…not because people like me will write a blog post about it. It want their motivation to be love…not marketing. I want to ‘catch’ them doing the right thing if that makes sense? I’ve worked with parents for a long time and they almost always seem to have no problem catching their kids doing bad. I like to encourage them to ‘catch their kids being good!” To celebrate them doing ‘the right thing.” I think encouring positive steps (no matter how big, or small) is powerful thing. I wrote a post that talks about this (http://sweltering-berry.flywheelsites.com/wins). However, I want to CATCH Noah doing good..I don’t want Noah to be the one to always tell me when he’s doing good, lest he does ‘good” just to get attention, and not because he genuinely wants to do good. If that makes sense. After all of that rambling, I guess that’s how I feel about things like this. I want companies to do “the right thing” and I want to give them “credit” for doing the right thing…I just don’t want them telling me they are the ones doing the right thing (call outs, pr, ‘special catalogs’, etc…). I think that by celebrating “little steps” like this, it helps companies take bigger steeps towards helping the world change their view about people born with disabilites. In other words, I want to catch them doing good. I totally agree with everything you said! I do not have a special needs child, but I have worked with one for 7 years. We have a very strong bond! In the beginning he had just turned 11 and we had a hard time. He was angry and I didn’t understand him. I don’t know who was more stubborn but we stuck it out with each other and after a few months were able to communicate (a little) with each other. The communication started when I clapped and cheered for something GOOD that he did. It was all it took for him to give me a chance. Even though he is nonverbal, he has words and thoughts in his head. He knows what he wants and needs to make us know…….. I think the “exciting” part is that Target didn’t ask for any recognition–they included him in the add with the other children and many people (me included) didn’t notice that he was any different from the others!! It should be the norm, but because it isn’t I think this was a great accomplishment. Great post, glad our DS group linked to it! This is actually the second time that I have seen Target use a model with Down syndrome (earlier this fall they had a little girl model in the toys)! We don’t usually look at the ads in the newspaper, but after having a link to your site posted by a friend on Facebook and reading the comments, as parents of a 41-year-old son who was born with Down Syndrome, we have to respond. Yes, Michelle, it IS a big deal to see an ad like the Target ad! And the parents of a child with Down Syndrome are extremely unlikely to ‘just not notice’ an ad with a special needs person in it. We can assure you, many attitudes have changed over the last 40-plus years! And, hopefully, people will continue to become more accepting of differences! I bet you have seen so many changes in his life and have been quite the advocate the last 41 years 🙂 I can only imagine what you had to deal with and the views you had to fight when he was born. What is he up to now? Cool!! Thanks for posting this. Sadly Target is an hour and a half away. That is so sad, I love Target 🙁 We just moved near one and it is probably not a good thing because I can never seem to walk out with out spending more than I intended. me neither! I don’t think it’s possible. There’s always Target.com! We have super Target, which has a wonderful produce section. My son loves the artichokes there. After trudging thru a million posts on Facebook about how Holiday Inn staffs treatment of a familly because of thier autistic child, This made me smile and REALLY happy that I’m a faithful Target shopper. I am afraid to search the story you mentioned. I am glad Rick helped perk up your day! I love that pampers commercial!!! It is so cute. Thanks for your comment! How old is your daughter? Thanks for your comment! Very nice to “meet” you! Thank you also for the very kind words about our blog. Of course you can link to us on your blog, we appreciate it! Your blog is so wonderful!!!! I hope you don’t mind if I re-post your post on my blog at: http://jendawnscowgirlup.blogspot.com. No problem Jennifer! Thanks for the kind words. I checked out your blog, thanks for posting our message. Just a quick word of advice…it’s always better to not post something entirely on your site that exists elsewhere. I’d suggest posting some of it and then referring people back to the original post to read the entirety…if that makes sense. Thanks again for sharing, and keep up the great work! Target regularly uses our kids “chromosomal cousins” I have often spotted a child who has Down syndrome in their ad. Can’t say I have seen any familiar characteristics in Target’s competition’s ads. Just another reason to frequent their store! Someone one our Facebook page said, “…and another reason why Target isn’t Wal-Mart!” hahahahaha! In addition to Toys R Us– there was also a model with DS in a great Nordstrom ad and a baby with DS was featured in a Pampers ad last year. The ad you feature is wonderful and your writing about it is so spot on and perfect!!! Yes, it’s the same boy! I talked about it in the post…and I also mentioned it in a previous post. Found you via FB when someone linked your Target Ad post … which was amazing by the way but what is really amazing, besides your blog and your writing and your faith, is your boy. Your beautiful, beautiful boy and your love for him. Noah is beautiful and I know beautiful. You see I have a little love that sports a little extra something, something. Her name is Zoey … which in Greek means “life” and she sure has lived up to it, because besides that extra chromosome she came equipped with a whole lot more. And has endured, a whole lot more. You’ll have to come visit to find out. But i will tell you, she is our greatest gift. God somehow thought we were worthy of such a wonder. Why? I have no idea but here she is. Leading the way. Our greatest guide, along with our faith, that tells us we are living the life that God had perfectly planned for us. For her. I will be back. Until then, thank you. For this post and for sharing your journey with Noah. Rick, I have been reading some comments left by people since we last talked about the site…I get why you do this..:) Keep up the good work. For those of us that can’t dedicate as much time as you can we really appreciate it! First I want to say, Thank You for posting this on your blog!! A friend posted the link to her facebook profile and I had to read it!! Let me explain why…….. I am 29 years old and when I was 11 my life changed. My little brother was born, I was excited and confused. My parents told me my little brother had down syndrome. I asked lots of questions and did all of my school research projects on down syndrome. Now 18 years later not only is he my brother he is my best friend!!!!!! I currently work with adults and children with various disabilities and continue to advocate for them and my brother. So yes I love to see that Target has an amazing young child with down syndrome in there weekly add!! As one of the young men in a down syndrome support group I belong to said ” Live Big, Get to know someone with Down Syndrome” (and yes this young man has down syndrome) I apologize for such a long post but I am such a proud sister of a sibling with Down Syndrome!!!! Thanks again for posting the add on your blog!!!! This is the first time I have come across this blog, but I sure am glad I did! My 16 year old brother has Down Syndrome & it is SO awesome to see major companies like Target embrace these kids for who they are on the inside and not on the outside…they are the same as us! It’s awesome to know that kids with special needs are finally being recognized for their ABILITIES & not disabilities! I love Target (and already spend too much money there) but now I will definitely be supporting them more! Thank you for sharing this wonderful thing! God Bless! First off , Noah your son, has DS? I never noticed in my sporadic readings of your blog and photos! I came across your blog via the link on “Perfection” – a friend in WLS (weight-loss surgery) community online had posted. I jeep meaning to take time and sit and read your blog from its beginning! I babysit by families- and not all families are perfect/completè. GD made all people (as your post on Gays) and “kids ard people too”. Many of my friends have several children (religious Jews and procreating) so it is not uncommon for a child to be born with DS,have a learning disability,ADD/ADHD ; Autism Sprectrum or any medical dilemma /disease. Noah is damn lucky to have you as his DAD. 3.They said that companies don’t have to call attention to the fact that they choose to be inclusive in order for people to notice their support for people with disabilities. In fact, by not making a big deal out of it they are doing a better job of showing their support for the special needs community. This is my favorite of all the points you make. Until we learn to see people as people first, not conditions, socio-ecconomic status, race, etc. We will never grasp true equality and inclusion. For example,my twins have special needs, they fall under the general catagory of developmentally delayed. But if that is all you see, you miss knowing two girls that are loving, genuinely kind, give 100% to the things they do and yes can also be mischievious kids who sometimes drive their parents and older sister crazy. In short kid’s who happen to have a disability. When I saw Noah’s pictures on this site, I saw a little boy with big blue eyes and a great smile, who also has down syndrome. Not just a down sydrome child. I am sure that there are many dimentions to Noah’s personatily,some wonderful, some not so wonderful. Having down sydrome is only one of those dimentions. It was so great to come across your blog and see another child with DS in another Target Ad, back in July they had a beautiful little girl with DS as well, I was so happy to see a child with DS used in their ads and I feel that we as a society are feeling included with our adorable kids. I have a 6 year old son with Down syndrome, and enjoy every moment with him. Thanks for sharing this!!!! i didn’t see this and would definitely have missed it! I think Target has done a great thing im glad that they arent treating kids with Down Syndrome any different, i have a 15month old with Down syndrome and i worry everyday about people treating him different. Hi Noah’s dad! I hope you read all these comments! I live in MN – which is where Target’s headquarters are. My 3 year old daughter with Down Syndrome was in the Target ad the first weekend of November too! I saw a status on Facebook from another DS parent saying Target had contacted the DS Association of MN looking for models. So we sent in our daughters picture and she got picked! We went up fot the shoot right after Labor Day and, like I said, was in the first wekeend in Novemeber. She was playing with a toy in the ad. Everyone there was SO nice and treated us just like any other kid. They were great with her – the stylists, photographers, etc. I’ve always loved Target, but I love it even more now! I made sure I told them many times how much parents of children with DS – or any child with special needs – appreciates this. For their children to be featured just as any other child would be in their ads!! LOVE! Our daughter is 4 and she also has DS. She is the love of our lives and is adored by so many for her sweet but sassy personality. Loving your blog. I already love Target and this just upped it a notch. It definitely makes me even more loyal. As a proud mom of a beautiful 16 year old daughter who has down syndrome, i am so happy to see the Target ad. I remember when i had my daughter after 3 other “normal” kids we went to the store and these girls walked by and were pointing at her saying “look at the little retarded baby, her mom must have done drugs when she was pregnant”, it was devastating. I decided then and there that i was going to do everything I could to educate the ignorant people that didnt undersatand what a blessing I had. It is awesome that Target is choosing to show that having down syndrome is not a dirty secret that needs to be hidden but a blessing to those lucky enough to be touched with that childs light. If you live in the Kansas City area there is a group throught the Kansas City Cheifs called “First Downs for Down Syndrome” it is a wonderful group that puts on several events each year for children and families touched by Down Syndrome. God bless you and your family! Absolutely! I posted on my FB page a target ad from this past summer that featured a little girl with DS in a Dora ad. Amazing, I surveyed my family and everyone flipped right through it. I was like exactly!! I have a 2 year old daughter with down syndrome and that ad made my day. I think other companies should step up and do this as well. As a society if we are not “normal” then we don’t fit in. Let’s prove them wrong! Let’s show the world that just because a child is different that they can still learn and in fact teach us how to truly live outside the box that the world says we must live in! Well done Target! I am so happy to come across your blog. A friend of mine posted this story on facebook and glad he did. My younger brother has Downs Syndrome. Reading your first post brought me to tears as I remember very vividly when my parents told me about my brother. Knowing what I went through just as a sibling, all the mixed emotions, made it even harder to read your first post and identifying with all the emotions you must have been feeling as a father. My story is a bit different as I was 17 when my brother was born, but you can be sure I will following this blog from now on. Just to let you know my brother is doing amazing. He is a drummer, an amazing athlete, and is now studying for his drivers license. Also, I am very happy to see Target get on board with this. My brother has been in numerous catalogs and even a television commercial for Toys R Us. I am going to send this link on to my parents who I am sure will be very interested in your story as well. Love it! And what a cutie pie Ryan is, btw. Great choice, Tarjay! Thank you so much for your blog and insight- and more so about creating awareness to help society move beyond outdated stereotypes. I’m a genetic counselor and am always seeking ways to learn and understand more about families and kids with disabilities. Often in a prenatal setting, genetic counselors are the ones informing families that their baby could be born with a disability. As much as we are trained in school to know what that means, I don’t think you can truly understand until you start to know and understand families that are going through it. Our job is to help families understand a particular diagnosis (or lack of) and listen to their thoughts and words to help them be the best advocates for themselves. I am grateful for families like you who are willing to share your story and create awareness so that we can do a better job. I did notice it, but I tend to notice stuff like that since I have a “special needs” child of my own. I think it’s really cool that they included the little guy and I agree it’s even better that they didn’t make a big hoopla about it. I hope one day, people will be more accepting. Great job on your blog. “The possibilities are endless and the future looks bright”…. Thank you Noah´s Dad to write those words… My 2 year old Rafael, has Angelman Syndrome and we know that exactly on december 2010 (a year ago), so I was feeling a little depressed this last days…. Reading your post makes feel so much better and now I´m celebrating my boy´s life!!!!. By the way, Noah is so handsome!! I love this. I could not have said it better myself. I agree with you, words are not necessary for inclusion otherwise it still keeps them separate. I would love to see more companies follow in line with this kind of advertising. I love to see them showcase what beautiful kids “special needs” kids are and treating them like everybody else. It is so great to see special needs kids included… Hopefully some day other obviously different kids can be included in ads. My daughter shot a commercial when she was three – but it was done so you couldn’t see how she was born with a short arm. I’m so glad she was included… But I look forward to a time when all differences are just okay. Wouldn’t that be awesome? I have a daughter with Down syndrome, she will be 7 in about 3 weeks. I love it when people don’t even realize that she has Downs. It makes my heart feel great when people treat her like any other child. Because she is. Our children with special needs are just that, children. And that is the advice I give every family I have met with a child with Downs. He/she is just like any other kid, treat them like that and the child will go far. I am so proud of the accomplishments “our” kids achieve everyday. As a parent of a child with a rare disability, I highly applaud this move by Target. The biggest reason is because, in our society, children with disabilities are often separated from the rest: in classrooms, in play groups, in regular social settings, etc. What I notice the most is that because my daughter is so obviously “different” from the other kids, she is often just stared at in public – kids don’t know what to think of her. Even very young children (like 2 year olds) just stop and stare. (Let me vent by adding that even adults have stared at her – it is quite rude and hurtful, by the way). If more children with disabilities were included by the media to share the stage (like on children’s shows, movies, commercials) perhaps it would not be so shocking for kids to see them in real life. Wow, what a great ad and a great post commenting on it. I have an older sister with Downs so it is great to see such a high profile, big-name retailer getting on board with inclusion! You are so right that they say so much by not saying anything – the boy in the orange shirt is included but is not highlighted in any way. Perfect. Thank you. I literally have “goose” bumps everywhere when reading this! So touching and moving! Thank you so much for making me feel good! As a working Mom of two, I was already a loyal Target shopper because they do a great job of making the everyday things that you need in life just a little more fun (and convenient) to shop for. As a working Mom of two (who’s oldest child has developmental disabilities), I will not only continue my patronage of Target … but I will sing their praises to whomever will listen for their quiet, but powerful inclusionary ad featuring Noah. Target understands what makes the heart of a “community” tick — and it reflects that in its ads and local community projects. It is a store with things for everyday people who have everyday needs. And that’s just what my family is. Target is a true corporate citizen. How funny that timing is everything in life. Thank you so much for posting this ad and helping it find the way to my friends page. Noah is adorable. Our son Zachariah is just over 2 years old and has yet to prove any stereo types that have existed for years, I think that Target spoke volumes by not bringing any attention to any of the child models. It is my desire in this life to teach people to look at all children as just that children the fact that Zak was given something EXTRA means no one can tell him what he can or can’t achieve in this world that will be left up to him, I also believe that if we treated all children with respect then we would have a much more respectful society. Once again thank you for posting this article. Your son is so so beautiful. I have 4 children, my youngest Sonny 5, has Conrnelia de Lange syndrome. He is a beautiful child too. So many people are drawn to him. Our kids are so special, I’m so thankful he came to me. Love it!! Thanks for posting! I agree with you, I love the idea of catching people and companies doing the right thing. I majored in Early Childhood Development in college, never realizing how much I would benefit 15 years later when my daughter was born with Ds. The one thing I took away from school more than anything is positive reinforcement and how it applies to more than infants and toddlers. I am certainly not implying treating anyone like a child, juat that everyone, including major department stores, like to know they are doing the right thing! You’re telling me about applying your education to your child 🙂 I have learned more about pediatrics from my son than most of my residency. Just found your blog through a friend in Triangle Down Sydrome Network (Raleigh, NC), and I love it already. 🙂 Such creativity and with great purpose! Thank you. My daughter, Ella, is just shy of 21 months. She spends her days with her twin sister, Olivia, and her six year old brother, Dominic. The lights of my life! I can only imagine the fun in your house 🙂 I always imagine twins as being best friends. Is Olivia a motivator for Ella meaning that she tries to keep up with whatever she is doing? Last summer, when Target featured a model with DS, I wrote to the company and commended it for its inclusion. I let them know what a huge boost they gave to our community by doing so. Y’all have had such an incredible viewership here; I would LOVE to see Target get that kind of positive response/ feedback the next time it features another special needs child (or even this time, as it’s not too late!). I hope you’ll consider “using your powers to do good” lol, and encourage your readership to contact Target with positive responses to its advertising. Through grass roots efforts like this, we *can* change the world! I have always loved target, now I love them alot more:) Way to go folks, changing the world 1 ad at a time! I love this ad. It makes me happy to see that my daughter no matter how different she is can have a “normal life and work”. She’s 3 months but I sometimes worry what life with DS will mean for her as she get’s older. I just keep on loving her and finding things like this to get me thru the harder days. I understand where you are coming from. I have been through the thoughts of doubt and discouragment. But our children are special, and perfectly imperfect. My daughter will be 7 yrs old this month, and I had so many doubts when she was young. She is what we call a zipper baby 🙂 she has had open heart surgery at 3 months old. And I was worried and discouraged, but to look at my angelface now, she is just like all the other kids in her school,and is very popular. I now worry about when she gets older and wants to date, and when she goes to college. I wonder if I can deal with her leaving. Just like the parents of the “normal” kids. But you are doing exactly what is right for her, just love her and accept her for who she is, a beautiful little girl. Nordstrom Catalogue last year used an adorable young man who happened to have DS too! They didn’t mention he had any disability either. Very refreshing for a parent of a child with DS! If we are thinking of the same ad it is actually the same boy, he rocked out a bomber jacket. He has awesome style. We applaud Target for this wonderful “inclusion” that shows that ALL KIDS, ALL HUMANS, are valuable!!! Every one of us has talents, gifts, abilities, weaknesses, disabilities, etc. Down syndrome kids and adults are often the most loving and accepting, non-judgmental people, and our world would be a much better, happier place if everyone exhibited those qualities. Bravo, Target!! I am so glad Target is on board with the special needs community! As a mother of 2 boys with Autism it’s great to see people opening there eyes! I also wanted to let you know, I to will be sharing this story on my Facebook page Autism Creations. My husband (@built) came and told me about the ad so I wanted to come see the photo for myself. Love it! A small aside: I haven’t read all the comments, just searched the page and got no hits so I’m assuming no one else brought up your use of “lame” in your post. I think it’s similar to our R-word to some people that have physical disabilities and the people who love them. Just a thought. Keep doing your good work! Really?? ?…if it’s no big deal that your kids have Downs, and “they’re no different from anyone else” then, why the label “special”? Do NONE of you realize that, while you praise Target for not having made a fuss about giving this kid a job, you all ARE, which kind of negates all your hoop hoop hurrahing about making no big deal about the differences between Down kids and normal kids… If it truly was a non-issue none of you would’ve said a damn word. Please make up your minds already, are they “special” or no different?..seems to me, that it’s a different definition depending on what suits you people. Thank goodness God did not send you a “special” child. thanks for this post! A friend posted it on FB and I shared it with my frieds and one of them posted it to Twitter! Who knows where it will go from there!I will def patronize Target more.I also loved your post about Nordie’s. I have two siblings who have genetic disorders abd absolutely agree about not wanting them to be “cured”. I have been trying to emphasize to my little sis that God made her perfect the way she is! I guess the company I can think of that includes differently abled kids would be Fox(That’s the channel that airs the show). The show, Glee, feaures two characters who are differently abled without making an issue of it. One is a cheerleader with Down’s and Artie is a member of the Glee club who uses a wheelchair. P.S. Noah is a doll and litle Ryan is adorable! Hurrah! And hurrah for Target! I commend Target and Nordstrom for their ads. My son, Nat, is 30 years old and my oldest child of six. He has always been involved with other kids from the start which has helped him to be extremely social with all. People just need exposure and to be given the opportunity to get to know them and see first hand how amazing they are. The fear of the unknown is what is the most scary. My other five are better people because they have Nat as their brother. He truly has been the ultimate role model for all of them. It is wonderful to see corporations highlighting individuals with DS. My kids have been fortunate enough to know first hand how special people with DS are and the gifts they possess internally as well as externally. Now more people can be exposed to their magical joy for life. Consider me a lifelong Target and Nordstrom shopper. Thank you! Many many years ago Target used my niece, with Cerebral Palsy, in several of their ads. This is not new, but I am glad to see they are continuing. That is fantastic!!! Do you have any copies of the ads? Waiting for Gerber to feature a beautiful baby with Ds on their baby food! I think this is awesome and a great way to show that people with disabilities are no different from anyone else. It’s a big step in the right direction toward inclusion. I hope that in the future store ads will continue to place all kinds of people with all kinds of disabilities and those who are not disabled together in their ads. 1. YAY, Target. Love them even more now! 2. That kid in the orange shirt is adorable! 3. Noah is beautiful. *little hugs to him*. What an amazing story and an amazing observation. I have a niece with Angelman’s Syndrome, a chromosomal disorder that is not as well know but asks the same thing. Don’t make a be deal out of disability but don’t ignore us either!! So glad to find this site. I think that it is AWESOME that people and organizations are imbraceing the children with special needs. My brother has Downs, and has to be the funniest person I know. He and two of his friends have their own house and have shown me that when people are patient and willing to treat people with special Ned’s just like anyone else, that anything is possible. They may learn differently and at a different pace, but they can learn and be a productive part of society. I am very impressed and delighted. You are absolutely spot on, and so are they. Thank you so much for sharing this. I have always loved Targer and being a Mommy to a beautiful little girl with Down Syndrome I love them even more now. Our children are very special. My daughter with DS is now 24 years old and she made a commercial when she was 13 years old that was televised nationwide. At 13 years old, she was very photogenic & had lines to memorize….she did great!! Our choice for our daughter was to attend our local school and be fully included with supports. Everything was always a fight. I would like for many of the teachers & administrative staff to just once put themselves in our place to see how rejection feels. You can’t hide a child throughout their school days in a bubble & then expect them to be prepared for the “real” world. As much as our special needs children require as much normalcy as possible, so do the so called “normal” people require our special angels to show them how truly special our children are and how much they have to offer. Thank you target for showing that our children are people too. That’s awesome to hear! My older brother, who is in a wheelchair due to cerebral palsy, was in a Target ad back in 1993. They didn’t say anything back then either! That is awesome!!!! Thanks for sharing it. Definitely not trying to be the insensitive parent (my son has cerebral palsy and to look at him you would think he is “normal”) but I agree with Michelle to an extent. Yes its a great thing that was done here, but how much praise is needed for this? Not knowing if any of the other kids in any other ad for any other company was born with a disability. I know disabilities are all different and put different faces to each one, but isn’t bringing attention to the fact that this child is different hurting him in a way also? Doesn’t this give way for some to treat him as “favored” now that he’s a child model? Personally I am trying to raise my son not to use his disability to gain the special attention it can bring. Focusing attention on the ads that use the special needs community low key is telling the world “look, you didn’t notice at first, but now you see. This child IS different, pay attention to him.” Instead of letting the world notice on their own. Yes I applaud companies that do this, and I’m sure there are many more out there that have done so and not been recognized for this, because they didn’t use the “typical looking” disabled child. Do you know how awesome it is that Target did this? That makes me love the store even more! I, myself, have a disability…. Not down syndrome, but a traumatic brain injury. And although it is considered to be a “hidden disability” where one cannot tell what the disability is, it is still there. So, like Ryan, I live with mine everyday. But, praise be to God that they are advertising people like us with disabilities! It’s about time we all started to show up publicly just like everyone else! This is not the first time Target has used a child with DS in their ads. My 36 year old sister has DS, so my family notices others with DS all the time. A few months ago my mom and I opened the newspaper on Sunday morning from opposite sides of the country, and immediately called each other so excited to see a DS youngster in our favorite store’s ad!! We only wish that Target and other retailers would do it more often. FABULOUS!!! Also, if that is your little boy Noah with the Christmas lights I would like to say that is the cutest Christmas picture I have seen this year! SO ADORABLE!! His eyes are piercing! This is an awesome picture. My first and best year in education was in a life skills classroom with all different types of kids. We always treated them like people. Laughing with them and crying with them. Trips to the local store was always a blast!! Great post. I’m so glad someone is catching on. I have 5 kids, my oldest has Type 1 Diabetes – has had it for almost 11 years, no that’s not a cell phone or an iPod it’s her insulin pump, ugh; my 2nd was just diagnosed with Postural Orthostatic Tachycardia Syndrome (POTS) a few months ago; my 3rd has Orthostatic Hypotension, she was dx’d 3ish yrs ago. So far my two little ones seem ok, but I think my 4th (4yo) is having some symptoms of what my 2nd and 3rd have. Oh brother. From the outside they all look “normal”, but we get stares when I hang the handicapped parking tag or let my 11 yo sit in one of the carts at Meijer’s that has the bench seat because she feels too weak to walk through the store. Feel free to let it out 🙂 Everyone needs to tell their story, feel free to do so. I totally agree, my son does not have down syndrome but he has interstitial lung disease and has been wearing oxygen for over 5 years now. I would be so excited if some day Target or another large retailer would be willing to put in their ad a child wearing oxygen tubing. It would put a huge grin on my face! I totally “get” the excitement of having your son’s disability not be treated any different in this situation. Maybe someday my son’s won’t either. Way to go, Noah’s Dad! Great eye for a bright spot in our world! It is amazing, but I still applaud pampers above all as they were the first to step out and go above and beyond to show their support for special needs. I have a son with down syndrome who is 7 1/2 months old and the very first thing you see when you open his baby book is the pampers add I found right after we found out he had down syndrome when I was 20 weeks pregnant!! Now since then it seems like everyone else is now joining the wonderful act of treating them like e everyone else! We look forward to learning more about your story! Thank you. Not only for posting about this advertisement from Target but for the hopes and dreams and love you have for your own child. While my son was not born with the extra chromosome that causes Downs syndrome, he was born with a disorder that does have some serious implications. Unfortunately because his disorder isn’t something you can physically see, we’re often treated like panicky parents when we haul him into the ER because he’s sick with a cold and not eating. We wish every day that we didn’t have to deal with biogenetic doctors and cardiologists and metabolic dieticians but we are so thankful that they are there when we need them (especially when it involves them marching up to the hospital from their offices to rip the ER staff a new one for not listening to us in the first place – we have emergency room protocol for a reason). Because my background is in education (elementary and special education), I’m always looking for new blogs to read, particularly from parents of children with disabilities or parents with non-mainstream viewpoints (be that in religion, eating habits, rearing practices, etc.). Now that I’ve found this, it’s being added to my blog queue. I love that Target and Nordstrom would do this! Way to go! My daughter Desiray is 8 years old and has DS. Thanks for sharing this! Great comments guys. You know – I went to a presentation recently by Nick Stanhope from ‘We Are What We Do’ – he talked a lot about ‘The Incidental Effect’. We Are What We Do (search for it) produce products that are specifically designed to have an ‘incidental positive effect’ – usually on issues to do with the environment. But – as people have said here – this is the way inclusion should work. As they say here – ‘Good Onya’ Target. I had an uncle with ds until I was 25…he was taken from us in 1995 due to a car accident,there isn’t a day that goes by that I don’t miss him dearly. I have a 19 yr. Old son that im raising that also has ds….hats off to all who knowledge these special people. Acknowledge is wat I meant. Wonderful story! I’ve been working in the field of developmental disabilities for most of my life and this makes me so happy to see! I work with adults and it’s my sincere hope that soon I’ll see a grown up with a disability in an ad too!!! The kids are sweet and cute but the grownups don’t get that kind of attention! I’m afraid they get forgotten once they grow up- but grow up they do and they deserve a place too!! I’ll keep watching! Thank you so much for posting this. I have only just come across your blog through a friend reposting this on their facebook. I will be passing the link out to my family members as I have a nephew (who is the absolute light of my life!) called Ross and he also has Downs Syndrome. This is the first time I have ever seen an ad campaign that doesn’t objectify the subject as a ‘Downs Syndrome kid’ (btw, do we call kids with Diabetes a ‘Diabetes Kid?’?!?!) so I just wanted to say thanks again for posting and I cant wait to hear and see more of Noah! I was linked to here through a friend on facebook. I love, love, LOVE what Target is doing. I wish that more companies would include children with special needs in their advertising as well. Heck, maybe when other companies see how this ad has gone viral with everyone so happy about such an inclusion, they will start doing it as well. Your son is beautiful, bright and full of life. Thank you for sharing this. My daughter is also special needs. She is delayed in her development and has low muscle tone. We’ve gone through a series of tests to pinpoint exactly what she should be diagnosed as and so far nothing. She is almost 4 and some of her abilities are at age level, where others are not. So we often get from family members and strangers, “Well she looks and seems normal to me.” What is normal? It is so frustrating sometimes but we have learned to accept our beautiful, vibrant little girl. So thank you again. Jen, I am interested in your message. I also have a son with low muscle tone and developmental delays. He is six years old. He has many struggles and challenges, and we continue to try to figure out how we can best help him. It is difficult to have a child who looks normal, but still has challenges! I have a son with severe cerebral palsy. Let me tell you how cute my kiddo is when he wears a french collar shirt and tie! I love Target and this gives me one more reason to shop there! Thanks for the great post. Thank you for posting this wonderful ad! I love Target and I’m thankful they see the possibilities in our kids. My son is now eleven years old and he is my angel boy. He spreads love and joy wherever he goes. I have seen Toys R Us use differently-abled children in their advertising, not just in the differently-abled catalog. This warmed my heart years ago when my child was first born. Even one of the Wiggles’ videos includes a child with Down syndrome with the cast. While we still have a long way to go, I believe that the future is bright for our kids. That little man jumped right out at me when I was looking at the Target ad Sunday! I think it is WONDERFUL! I was just introduced to your blog this morning. I completely agree with you that the strongest statement is made by Target not saying anything at all. Here in Canada, I see many print ads using “real people” of every gender, age, size, ability, skin colour, etc…but Canada is known for embracing multiculturalism. “Great blog written by a great dad about his great kid. You are a strong voice for your son, as we should all be for our children. Kudos. I love what Target is doing and yes your son is cute but it does concern me that you are stringing Christmas lights on him. That’s definitely not safe AT ALL. Just kidding around. My wife is a pediatrician, and you can’t see it in the picture, but her hand is on him protecting him from trying to eat one. 🙂 Those are also very low wattage LED bulbs. He was very safe the entire time. I promise. I learned about your post from the Chief Marketing Officer of General Mills, who saw your story via RetailCustomerExperience.com. Look at what an impact you are making, even in the marketing community. Pretty awesome! This entry shocked me by making me cry, really cry. I think it hit a very sensitive spot with me. Thank you so much for writing about that Target ad. My older brother, while not Downs, has a series of issues including cerebral palsy and autism, and I remember a number of incidents when we were kids when other people were unkind because of his apparent issues. It broke my heart to see my brother harassed or ignored, and it feels like an important point in history to see a fuller spectrum of people in something so simple as a Target ad. I am thrilled for the kind of future that this signals for Ryan and other kids like him. Thanks so much for creating this blog – it is fantastic. I have just been given the link as I have just joined the Halton Down syndrome Association (Oakville, Ontario, Canada). I have been a teacher for 12 years and started my career working with children with Down syndrome. We have a 4 1/2 year old son (Aiden) – a typical little boy – and now we have a beautiful baby girl (Sydney) – born March 19th, 2011 – with Down syndrome. While it was a surprise to my husband and I – we both new that it was definitely meant to be – and have not waivered once. We cannot imagine our lives without Sydney (named after her Great Grandfather) – she has brought a huge amount of joy to all our friends and family. She also will bring a huge amount of knowledge, information and experience to those around her. I have been teaching about ‘inclusion’ for 12 years now – and although things move slowly I believe that we are definitely moving in the right direction. Unfortunately in Canada we do not have any Target stores (yet) – hopefully soon. I look forward to reading more about Noah – I started something similar on my Facebook page – just with letters to everyone about her progress and our lives etc. We are getting ready next Thursday for Sydney to go for her ‘pre-op’ appointment for heart surgery. She has three holes in her heart and a leaking valve – so we are hopeful that the heart has not grown and that they will be able to wait for the surgery until she is two. Keep your fingers crossed. The videos are a fantastic idea. Thanks so much for allowing us to glimpse your lives. Finally, I have to say it, Jennifer (in regards to your comment above about the Christmas Lights) give me a break. The lights are on top of Noah’s head, not wrapped around him, he probably had both parents hovering over him, while they took a 5 second picture. Do you really think he was in any danger at all? Don’t preach from a soapbox. As a Mom and as a teacher I think that your sharing of your son’s life is a gift to all parents, and also to our society at large. With parent leaders like you we will all learn to better appreciate the gifts that each child has, and has to offer. Our job as parents and as a society is to shower all our children with love that eventually will flow back to make our society much better. I just found your blog through a friend on Facebook & I love that you are sharing your story!! I don’t have a special needs child but worked with special needs adults for over a year & one of my guys works in the shoe dept at Target, he’s been there for 20 YEARS!!! I love those guys more than anything, they were & always be my children & leaving that job was the hardest decision I ever had to make. I look forward to following Noah’s story!!! This is BRILLIANT!!! Thanks for sharing. I am a mother of a four-year old cutest little girl who has Down Syndrome. It’s been such a joy to have her in our family and she is the inspiration that help me set up a special needs awareness center in Thailand (www.therainbowroom.org) I totally agree with what you wrote above about seeing the possibilities and potential instead of feeling pity. Take care and may God bless you, Noah and your family always. First, your son is adorable. This blog is a great idea, I’m glad I discovered it. Second, I’m glad I have another reason to like Target! As a mother of 3 boys with special needs, I think it is great what Target did!! Soo many special needs kids get left out of things. I think it is absolutely awesome that Target did this ad! Truly beautiful to see them embracing the fact that not everybody is the same and that, instead of being a bad thing, that’s GOOD, that everyone should be celebrated for who they are. Now if only they would get the message with regards to ADULT clothing. If only they would feature models of both sexes who aren’t stick-thin, “perfect” body types. I would love to see some people with normal (which in America means somewhat overweight) body types. C’mon, Target, if we’re gonna embrace celebrating people for who they are, that’s got to extend into the adult world, too. And let’s see some adults with Down’s in the ads! And maybe someone in a wheelchair. I’m very proud of them for taking this first step, though. Let’s hope it leads to a total revolution in the way clothing ads look! I have an aunt with Down Syndrome…she’s in her 60’s!!! A miracle of life and love and a blessing to all who know and love her. She’s taught me more about loving and accepting people then I could have ever learned on my own. I love that she has blown away people’s expectations for her life expectancy and capabilities. ♥ you Aunt Doris. Thanks for sharing your story Noah’s Dad!! The ad includes an adorable fair-skinned, red-headed little kid who’s evidence of Down syndrome will be overlooked by many browsers. Target is taking no risk here and if they are making a statement, they are whispering it, very softly, into the ears of parents who wish to hear it. Again, don’t get me wrong, I’m not saying it’s a bad thing. But see it for what it is: a commercially calculated decision. This is great! Great job Target! I came to your blog by way of a link on FB…have just been reading through some of your archives. Oh, how I wish all children had fathers as devoted and loving as you! This world would be a much sweeter place. 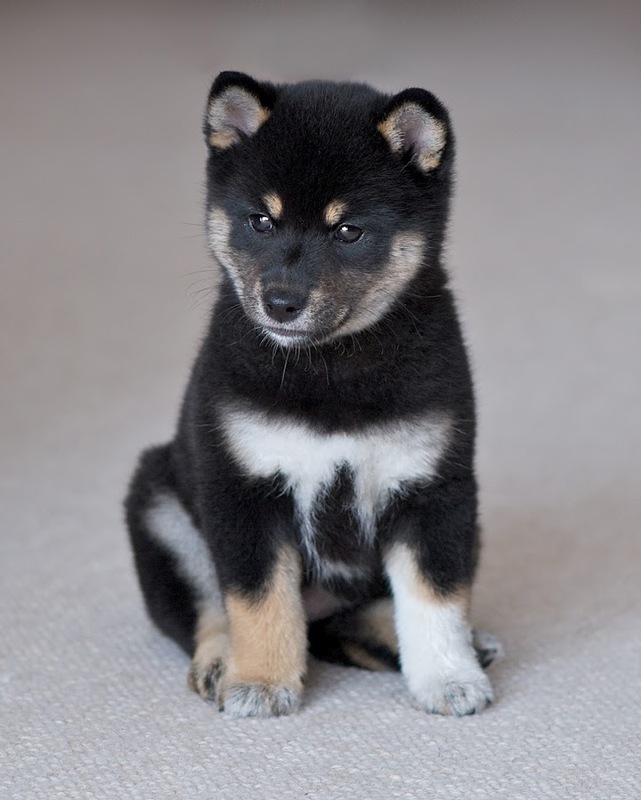 PS – Your little guy is adorable. The same goes for children/people with Dwarfism …..and …..anybody else with a disability…..which by the way…..nearly 100% of people have some sort of disability, some less obvious than others. Amazing! Great job to you and to Target! I agree that familiarizing the world with the abilities of our kids with designer genes is definitely the way to go. My 5 year old son with Trisomy 21 brought me to the conclusion that EVERY family should be so blessed as to have a child with Trisomy 21! Please visit my blog listed above and our facebook page Trisomy 21 Overcomers. Thank you so much for sharing this story and for your blog in general. My husband and I had our 5th child 23 days before your sweet Noah was born. We knew prenatally that she had Ds. It was a hard summer leading up to her birth. My sweet angel is now the love of ALL our lives. She’s quite popular with our other children and we’re all better people because of it. Thanks again for your blog and God bless your family. Actually I never noticed – all I see was a group of cute children! Family-Centred Care Practice embedded in Society, yes! Amendment to the Alberta FSCD (Family Support for Children with Disabilities) Act, Section 2-3, Manual Amendments: Policy and Procedures in Family Centred Supports and Services retroactive to December 2006. Samantha Lauren Martin, June 4, 1993 – December 3, 2006. Reading this reminded me of how there is a couple whose daughter has spinal bifida. They bring heer shopping where I work. I’m always glad to see them come in. But once. I heard a lady make a terrible comment. She said “why do they waste money on her, she dosen’t know any diffrent” how can people be so heartless! I’m sure that sweet girl does know and loves her parents very much. If my sister where alive she’d be just like her. I’m so glad there are people out there who know that every life is precious. Just because someone can’t express themseves the same way doesn’t mean they aren’t important! Wow! I would like to print this on a poster and put it on my wall. I have a son with Asperger’s. Good words! Hi. What a cute little boy you have. I have a 60 1/2 year old brother with Down’s Syndrome. He is the oldest of nine kids. Just imagine how it was, over 60 years ago, to have a DS child! Many children with DS were put in “homes” to be cared for because their parents were ashamed or embarrassed. My brother is a charter member of the Special Olympics in IL and has participated every year. He has been a joy to my family. Even my kids, who are now all young adults, are glad he is in our family. By the way, his name is Patrick. He loves to bowl and lift weights. He is very spoiled by our large family. We all love him very much. It’s just too bad that Target isn’t really all that into inclusion – as they continue to show with their large corporate donations to anti-gay political groups. I absolutely adore this post. Its amazing how society is with children/people whom have special needs. You still have those who think negatively towards it or so call “sympathize” but in a rude way. Those with special needs are still human and still function as a human does. We all make mistakes because we’re human but when I look at the kids and talk with them they are just perfection. They are amazing and wonderful just like God made them to be. Love your pride! Love your honesty. Love your focus. So important to wave the flag but be just like everyone else at the same time 🙂 Hugs and prayers from Reece’s Rainbow! I am so happy to see all of the traffic you have received in the last day or so. Thank you so much for this blog. As I said in my comment yesterday, my 16 year old brother JJ has Downs Syndrome, and has been an inspiration to me since he was born. He is an amazing musician, athlete and all around great kid. He is running in the upcoming Miami marathon to benefit the National Jewish Council for Disabilities (NJCD) (aka Yachad) which is an organization dedicated to addressing the needs of all individuals with disabilities and including them in the overall Jewish community. They are a great organization that means a lot to my brother and my family. They bring children and adults with disabilities together with those without. All monies raised will go directly to help those with disabilities attend their weekend and summer programs and an array of other activities. JJ is a very special part of my parent’s community and as such has already blown through his goal of raising $3,000 and any additional donations will go to further help this great organization. Thanks so much for everything you are doing. While I applaud Target’s choice, I can’t help but notice it had to be a _choice_. My reaction to all the reaction is similar to my take on Barack Obama’s election, i.e., the fact that hundreds of journalists felt obliged to crow about “how far we’ve come” is evidence that we haven’t come far enough. When I went to one school as a substitute teacher, I was warned, “This is the inclusion class.” I think someone needs to look up “inclusion” in the dictionary. I’m the mother of a 7 year old named Nathan. Like Noah, Nathan too was born with Down Syndrome. I thought you should know that this post made it to my facebook wall via a friend from the United Kingdom. She received it as a post to her wall and knew it was something I would love to see!!! She was right. I will have to admit… I looked at that very add on Sunday and did not “notice”!!! I was a devoted Target shopper before but you better believe they have my full support now…. Just wanted to let you know that the message is getting out!!!! You better believe my family and friends will know all about it and it’s going on every social media site of which I am a member. Thanks for the shout out for DS!!!!!!!! We are all Down for Target and Down for our kids too!!!! This add is wonderful. Didn’t see the Target add because we don’t get it in our newspaper in East Central Illinois. Our kids are super special and should be shown in all things. My daughter recently did a commercial for Make a Wish and soo many people thought it was great and complimented her. She was thrilled. 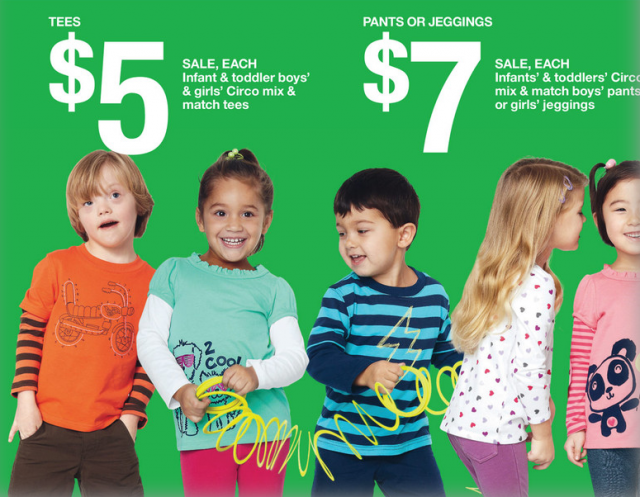 The little model in the Target ad is quite a little cutie pie and so is Your son!!! Your post here has been (as I’m sure you are well aware of) posted, reposted, commented, shared, etc all over Facebook in the last few days. What you say, resonates so loudly with all of us with special needs children. We just want our kids to fit in and not have to stand out. this Ad did just that. Target spoke loudly, by not speaking at all. Amazing in this time and day and age. I hope you have a stupendous start to the New Year! I don’t usually post on DS sites but thought this might be helpful for some of you folks who are blessed to have a young child with Down Syndrome. Emily is now 15-1/2 (going on 25), STILL happens to have DS (man that’s hard to get rid of), is a type 1 diabetic (since age 3), has celiac and IS DOING AWESOME! She’s now a freshman in high school, reads on a 7th grade level (slthough we do have some real challenges with math and step challenges), and bounces between “boyfriends” on a regular basis, just as both of my older daughters did at her age. She’s extremely active in Special Olympics (been to the State games more times than I can count), is on the yearbook club, choir, and the list goes on. She has her own phone (unless she’s in the dog house), and is on the chore list, just like the rest of us. She has 2 firm job offers, but can’t accept either of them until her 16th birthday (in July). My reason for posting here is this. She’s managed to acheive all of this stuff ON HER OWN, and that’s because we have always expected her to do so. In other words, we have always had the same expectations of her as our other 3 kids (with some consideration, of course). Sure, we cut her some slack if she’s doing something that might take her a bit longer, but I can’t ever remember letting her completely off the hook because of her developmental disability (she definately knows how to use that to her advantage). Emily clearly knows that her goal in life is to get an education, a job, and her own place to live (even though Mom probably won’t go for it :), just like the rest of our kids. We’re currently trying to figure out the whole driving thing, but that’s a whole other story…. I guess my message is twofold. First, don’t ever think that that floppy kid with the big tongue and cool eyes won’t go anywhere, even if they don’t walk on their 1st birthday. He/she will surprise you. I guarantee it. Secondly, expect and require your kid to perform to his/her maximum potential, just as you would with any other kid you are raising. This is the biggest blessing you can possibly give to your child!!! Please feel free to call me 253-241-2842. I’d love to share our experiences and help out in any way if I can. We’ve been there, are doing it, and definately know where you’re coming from. TARGET GETS MY BUSINESS NOW!!! I have a grandson, Jace, that will be 4 in April. When my daughter got pregnant she was not quite 20. Chances of having a baby with DS was 1/+1200. Her and her husband decided not to have the amnio test ran due to the 2/200 that she could miscarry. Their doctor said the 2 that miscarry usually have DS. Thank the Lord they refused!! I cannot imagine life without little Jace! He has been such an inspiration to our entire family. Some people consider children with handicaps a “burden”, but what they don’t understand is what a “BLESSING” they are!! God definitely does NOT make mistakes! Disabilities or not, children are God’s angels. Target is opening a huge door for the world to see that all children love to be “equal” and loved!! Thank you for sharing!! Isn’t it kind of an oxymoron that you have to give him special attention to show everyone that you don’t want him to have any special attention? Josh is a cashier at the Murfreesboro, TN Target. Josh is a young man with DS. He’s worked for them for several years. I’ve seen other DS children in Target’s ads. God bless! THAT IS AWESOME!!! your post has made it my way too. It is about time “big” companies take intrest in our children. I have an amazing 16 (well as he likes to say “I’ll be 17 soon”) year old son with Down Syndrome, he has taught our family so much and fortunately he is super social and loves sports, not only is he involved in Special Olympics but he is very active in his high schools sports as “bat boy” and “coach” for baseball and basketball and is genuily accepted by his team mates and coaching staff they look forward to him being with them when they are playing either at home or traveling…yes I said traveling he goes on the bus ith them! My hope is that one day ALL children with disabilities no matter what they are are accepted and a child not pitied or treated differently! GREAT JOB keep spreading the word, your son is beautiful. My DS son is 32 years old. He loves to shop at Target and knows exactly where the Star Wars “people” are located. Thak you, Target, for honoring DS individuals by not calling attention to their differences. They are still people and deserve respect. What a great story and what a joy Noah must be. My 28 year old son Robert was born with Down Syndrome, dense cataracts and a major heart defect. Eye surgery came first at 2 days, followed by extended wear contact lenses (imagine the infant stim program and how many times we lost and found them 🙂 Open heart surgery at 10 months repaired the defect and he’s been strong as a moose ever since. In Special Olympics he bowls, plays basketball, runs the 800 and 1500 among other sports. Mostly he keeps his entire family on track for seeing the best side of life. He works at a nursing home and takes public transportation – even transferring between buses. He especially loves it when I go away for a few days and leave him to ‘batch’ it on his own 🙂 How impoverished our lives would have been without his sparkle. Thanks for sharing your stories of Noah – it’s the ride of a lifetime eh? Wonderful, Target! Our daughter, Dayle, is 23 months and like most kids mentioned in the comments, she has DS. Since the day she was born, she has been an absolute joy. Unlike some others, we have hit the health lottery with our little Didi. We’ve never considered her anything but fully capable of doing all the “normal” things kids do, and Dayle proves this daily without even knowing! I was a Target fan all along, things like this, make me a bigger one! I would love to get the address that you sent your response to Target. This article made me smile so big!! I have a 9 year old precious daughter with Down Syndrome, and any time we see a child with DS on TV, in print, etc…it brings us such joy. I remember when we watched on of those Nick Jr, Curious Buddies DVDs and there are a few kids with Down Syndrome on those, it made me so happy to see that! I would love to send a letter to Target thanking them for this! Really glad I found your blog today! Thanks!! I agree that it is nice that they included Ryan in the ad. I have seen DS children in ads for several years now. One thing I don’t see, however, is ADULTS with DS. My son was really cute when he was little. He is still a handsome man but he displays many of the “classic” signs of DS (short stature, stocky build, round face). On top of that he has alopecia (he is bald). He is 23. He is the most delightful young man. I’d love to see some people that look like Eric in Target ads. How about some people with CP…they wear clothes too. How about more heavy people, short people, etc. Target is doing a good thing but advertising has a long way to go before it is truly inclusive. My son is turning 18 at the end of the month and I have watched him struggle with many things. But know that he is the best thing that God could have given me. I totally respect Target for using a child with DS in their ad. Recently our church family experienced the loss of our 2 special needs members–a 30 year old DS young man named Jack, and a 20 year old young woman named Candice. (She had seizures/epilepsy since she was a toddler and was left with serious developmental delays.) They died within a week of each other, both unexpectedly. Our loss is huge and we are grieving. But your blog points out what we came to discover. If you embrace and encircle these children with love and acceptance, they will surpass all expectations. By loving and accepting the “least of these” we show God’s amazing love and acceptance for all of us. God bless you in your daily walk with Noah. I LOVE that picture of your son. The lights framing his precious little face are priceless. I wish I had done that when my son was younger. Thank you. How old is your son now? Thank you for sharing this. My son is 5 months older than Noah. I really hope he gets included in the same way Ryan was. We use our son as a model on our website http://www.bestbuggy.co.uk and most people we speak to don’t realise he has Downs Syndrome because we don’t mention it (in fact this is the first time I have mentioned it). He is our son and we love him to pieces. I have just read your birth story and it practically mirrors ours. Those early days were a rollercoaster of emotions like no other. I now plan to sit down and read more about you and Noah. Thank you for sharing. Wow…I checked out your site. Those buggies look VERY cool. Is that your company? Did you guys create them? If so very cool. Where are you guys located? Hi, don’t know if you guys saw this already, but you’re quoted on another site regarding this post! Yes I did see that. Very cool. So glad the message is sharing. Very thankful. Aww! I wanna give your kiddo a huge hug, same with all the adorable kids in the Target ad. 🙂 As the mom of a child with sensory processing disorder and a manifestation of ADHD, and as a person with Asperger’s, I love your blog, and everything you’re doing for the world as a whole – INCLUDING the special needs community, of which you and I are both a part (even if we’re in different sections of it!). Thanks for noticing what they did! So I think the little boy is beautiful. And I’m not saying that he’s beautiful for a baby with Down’s Syndrome, but he fits our societies standard of beauty. Therefore, I really don’t think that Target has done anything that spectacular. Strides for people with Down’s Syndrome (or any disability for that matter) will be made when they start using adults with Down’s Syndrome in their ads. When we start modifying our society’s definition of beauty to include people with obvious differences, THAT’S when big steps will be have been made in the direction you are going for. However, I do agree that by not holding his disability against him, Target showed some open mindedness. Now if they would just bring ethics into their business practices, I might consider shopping at their stores again. Thanks for this great atricle. I am mom of a 3 year old beautiful, active and incredibly smart little girl with Downs Syndrome. It is refreshing to see a DS child just thrown in th mix of regular kids, b/c thats what they are, regular kids! Its a strange thing people more commonly ask how my daughter is doing ‘developmenaly’ rather than what she likes to do or play. I just want to say she is just a regular kid!! And I love that Tagert depicts that in this Ad, I have noticed a few Ad’s in the past with a DS girl as well, and its wonderful for you to share this with so many people! Thank you! And of course your little Noah is so cute, congratulations! I found this very touching. Our Albertson store also dose this without making a big deal out of it. so glade to see more out there doing the same. My husbands cousin has down syndrome, he is fun loving, sensitive and very, very social. He is almsot 50 yrs old. His life has been full of normal fun boy things(Boy Scouts, fishing trips and camping) and extra special fun times. He went to school, he works everyday, he participates in Special olympics, bowls every week,goes to every party his group has and dances till its time to go home. Usually we’re pulling him out… He is very smart and very perceptive…I’m glad Target is hiring children like yours and our cousin so we can show everyone that they are the norm. Awesome. Now, if they will make sure their employees can handle public breastfeeding, they will be extra wonderful. I’m a former Target employ whose boss was raising a special needs child. The company took care of her. I am almost always proud to have worked for Target. Love it! I don’t understand why more companies don’t use all kids in their ads. A friend of mine is a model and told me about a baby formula shoot that was looking for a 3-6 mos baby. I took our daughter who is quite cute I might add and smiles ALL THE TIME down. When I walked up to have her picture taken. the photographer asked the client if they wanted me to take her hearing aides out. (she was born with a permanent hearing loss) not only did they say yes in a tone that said “duh” they marked on her sheet right off no and never looked up from their laptop the entire time he was taking her picture. It’s fine if you found a cuter baby, but don’t rule mine out because she wears hearing aides. So frustrating! Lots of credit to Target marketing dept for thinking outside the box. Thank you so much for your blog. My daughter is blind and wants to only be treated like every other kid. Thanks for sharing that. How old is your daughter by the way? I have just found your blog via an article about the Target advert. Firstly I want to say how awesome the advert is. There definitely needs to be more mainstream inclusion of all types of people. Disability is definitely not something you often find with modelling. I myself have a disability and my parents rose me to think that I was no different. I absolutely LOVE what you are doing with your blog. The ignorance people have about down syndrome really gets to me. Look forward to reading more of your blog and hope you check our blog out too. I have called Target to thank them every time I see a child with Downs in their catalog and they love hearing it and tell me they will pass it along! Usually you really have to look hard because they *fit* in so well! Thanks for sharing your stories with us. Its really uplifting, i have a daughter whose 1 month and 5 days old with DS too. Your moments in the hospital was the same thing that happened to us. It is nice to see and feel the full acceptance you had with Baby Noah. I am happy but still with fears thinking of my baby’s future too. Your story really helps me a lot to feel better. Thank you so much for posting this. I have a sister with Down Syndrome. She is now 27 years old. When she was about the same age as Ryan in the ad she was asked to be in KMart ad. She appeared in about 4 of their ads. I am so proud of my sister and all the lives she has touched. I wish everyone was able to experience the love of a Down Syndrome child/person. THIS JUST GIVES ME ANOTHER REASON TO LLLOOOOVVVVEEE TARGET…. That’s awesome! So casual I had to look again. Well done, Target! I am so happy to see companies including people with disabilities! I am currently a Special Education major at Gonzaga University, pursuing credentials and certification in early childhood special education. I also have a younger brother who has Apert Syndrome. Growing up with him in our family has helped me grow up so open minded to and inspired by people with disabilities. Seeing Ryan in the Target ad has given me more hope that my brother will have a bright future ahead of him. (I know Apert Syndrome is not very similar to Down Syndrome but both are distinctive in that others are quick to discriminate.) Thanks for sharing this ad 🙂 I love working with these wonderful children with disabilities, they have so much to offer and I’m so glad that the rest of the world is beginning to understand that. I miss seeing the photo of Noah’s big blue eyes at the top of your blog. He is so beautiful, I wouldn’t be surprised if Noah was asked to model. Yay! I’m so glad they’re back, too! My hats off to Target … I always liked them and shopping there, and now respect them even more…..
How exciting to see the changes in the advertising world in relationship to accepting and promoting children with disabilities! I was 13 when my sister was born with brain damage. She is nearly 50 now and I am her legal guardian. I am confronted with the tension every time we go out into public, that she will greet someone in her open childlike way and they will be afraid and reject her. She is a constant 2-4 yr old in her thinking, personality and behavior and just basically happy all the time. I believe the more stores like Target and Nordstrom introduces people with disabilities as just a part of every day life, fear and unease that they feel when they see Jayne will be a bit less all the time. I have always been proud of my sister and never hesitate to take her anywhere. Thank you, to those of you who understand and let Jayne give you a hug when she approaches you! She loves people, and that includes you! God bless you! More stores should do the same! We started a Texas ranch for our daughter Kelly, now 27 and with DS, to have a community of opportunity–to learn, mature, achieve, travel, lunge horses, grow poinsettias, give tours, make jelly,drive golf carts, tend cattle & horses & chickens, take cruises, attend the NDSC convention and in July 2012 meet with their congressional delegation to advocate for Down syndrome research. Plus, we have a party or two along the way. The welcome mat is out for Noah’s Dad & Mom and Noah. Firstly, a great blog, and story. No doubt your son will be breaking some hearts when he is older! My daughter (6) has DS, and a few years back was the face of Kinder (ferrero chocolate) in the UK, and like Target, they didn’t make any noise about having a child with a disability on their packaging. I love what this ad says: kids with disabilities wear clothes! Yes, corporate policies like these (Nord’s & Target using an inclusive variety of models in their ads without trumpeting about it) definitely influence my purchasing decisions. …”kids with disabilities wear cloths!” ….I like it! So true. Thanks for your comment. My daughter, Estelle, is 6 year’s old and has been modeling for Target for over two years. She is now a “pro” and everyone get’s soo excited when she goes to the studio. She is extremely patient,hilarious and gracious while she is there and everyone says how great she is to work with! The last ad (out the week of Christmas!) she looked exceptionally adorable because they included her eyeglasses for one of the first times! She knows everyone by name now and is starting to have more facebook fans than me! I’m sure you have figured out by now, that yes, she has DS, and Target requests her beautiful smile on a regular basis! All of the ad’s she has done are National- which is great for the DS community. They’ve been wonderful to her and always make her feel just like all the other models and have truly been a front runner in creating more exposure for children with DS, which I can’t say enough about! As the saying goes, they’re “more alike than different”! To all of you (us!) parents with children with DS, keep up the great work and I admire all you do! I too love what the ad represents…acceptance and normalcy in an unpredicted world. My daughter was born with multiple disabilities (although DS is not one of them, her chromosomes do present her as unique). When she was 4 she was temporarily cristened the “Cheerio kids of the month” as was their poster board for kids who perservere. That was nearly 12 years ago, but she is still living strong among her ‘typical’ peers. My mom passed your site along to me and thought it would be nice if I could link your site to my website with your permission. Having recently published the book Sometimes The Wind Blows Sideways: Our Lives with a Special Needs Child, the response has been overwhelming and I would be honored if you would consider writing about Noah in the book’s sequel. We need to show the world that while our lives may be a little more complicated, our children are just like any other. As a mom of a son with ASD and other special medical needs, I’ve attended a support group for Parents of special needs and have the pleasure of knowing several amazing kids with DS. So I was excited and impressed to see the model with DS in Target’s ad! I agree that hiring people with challenges and featuring models that draw from all of our humanity, without trumpeting the news, is a great step towards the full inclusion that we desire for our special needs kiddos! I have a friend whose daughter has Angelman’s syndrome, and when it came time for their daughter to enter kindergarten, they were given the choice of sending her to their neighborhood school or to a district school established for children with high needs. They chose the neighborhood school, even though it would have been ‘easier’ for the district if they had allowed her to go to the special school, where they already have accomodations for children with very high needs. They felt that at the district school she would have been treated as one more child with a disability, but at the neighborhood school, the ‘typical’ kids would come to know her as an INDIVIDUAL. It was this example that I followed, even through it has been daunting, and my son is in an inclusion kindergarten class this year. We are very fortunate to have a school that is supportive, and the special ed teacher and aide that work with him are fantastic! When I see a young lady with DS working at my local Starbucks, or the young man with Spinal bifida working at the movie theater…those places have my very LOYAL business. Increasing the visibility AND possibilities for people with challenges is what breaks down the walls of exclusion. Have a nice Sunday, I’m off to bed here! Rock on Noah’s dad! It is great. I look forward to the regular TRU christmas catelog for that reason. For the last couple of years I’ve noticed the models with Ds in the regular catelog and I I can’t quite throw them away. Spot on and Happy New Year! As a parent of a child with autism, who is also adopted from Asia, ads like these make me very happy indeed!!! I saw this as on another site and actually had to look twice before I noticed that the boy had Down Syndrome. Your son Noah is adorable. The first thing I noticed about him was his eyes. He has some of the most gorgeous, intensely blue eyes I have ever seen. AD not as. I really should learn to proof read. Hello, I have a 6 month old granddaughter with Down Syndrome. She has had heart issues, had surgery 6 weeks ago and is doing ok. She has a few problems yet but we are all waiting to see how she progresses. I have truly enjoyed all the comments and look forward to future messages. Keep going with your blog, enjoy it! p.s. He is a beautiful little boy! We have a Special Needs daughter named Jackie. We call her Jakeybird. I created a documentary that’s on YouTube and IMDB. The 18m 30s documentary is titled “It’s Just Not Funny” part 1 of 2. It’s in two parts, and it targets the Entertainment Industry to ask them to take the derogatory and offensive word “retard” out of their scripts. If you like it, please leave a comment.Thanks, Jeff and Jakeybird. Considering the statistic for elective abortion for unborn children with DS in this country, these ads by Target and Nordstroms is supremely-wonderful-terrific! While reading the Net I stumbled onto your site. I have a brother, Tavon who is 15 years younger than I that has Down’s. Target’s ad blew me away! BTW your son is adorable! I know I’m rambling on but let me tell you all that you are going through with the motor skills etc., I went throught with my little brother, now 23! I never imagined a day he would be working and making a paycheck! I will be checking on you guys and giving this site to my mom to enjoy! God bless you and your family! Noah is an Angel! I have a cousin who has Down’s syndrome. I learned from Cookie that she is not a Down’s child. She is an UP child. I have never met an UP child that was down or unhappy. The lessons, life lessons, she taught me I will never forget. Thank you so very much for sharing! Cookie’s real name is Tina. She is 45 now, and still goes by Cookie! She was offered a management position at the Pizza Hut she works at, but turned it down. It would have taken her away from her customers! 🙂 Blessed be! I stumbled upon your site(link from WFAA), and was so blessed by your family and Noah’s story. I feel that Noah’s story will change the world and their views on children with special needs. Thank you for sharing! I am a Special Education teacher and Kinesiologist. I have had it on my heart to run camps for children with special needs…This scripture embodies EVERY child, but I always remember this with children who God has created extra special. I praise you because I am fearfully and wonderfully made; your works are wonderful,I know that full well. ~Psalm 139:14. One of my best friends sent me this link and it absolutely put a big smile on my face and just totally made my day. My son Zackery is 4 years old and has Down Syndrome and Neurofibromatosis. This is by far the best link I have ever been sent. Its so nice to see Target doing this for our perfect kiddo’s…Thank you so much for starting this sight and allowing people to see just how much families with Down Syndrome children are truely blessed. My son has been through so much but he is such a strong boy and he has taught me what the word unconditional really means…He is my heart and he is the heart of his three other siblings who love him and cherish him so much. Your son Noah is a very handsome young man…and he is blessed to have such a wonderful mom and dad. I just met a family that gave their little DS baby up for adoption because they could not cope. I met a family last year that aborted because their baby was diagnosed early in the pregnancy with DS and it killed me even though I didn’t know these people when they told me they terminated the pregnancy because the baby boy had DS I was crushed and could not hold back my tears. My doctor told me during my pregnancy that this baby has chosen me to be his mama…and that God knew I could love him and care for him better than anyone else…It means a lot to me when I see families endure and embrace children with DS. I spend time with four DS children ages 15 down to 4 years of age and they are so like us but they are so much more forgiving and so much more loving then most people. People with DS are perfect in my eyes and I love each and everyone of them. Thank you again for making my day =) God Bless You! Target is wonderful for including all children in their catalogues. I would like to also commend Safeway as they employ disabled people and give them a chance. May they lead the way to other companys to follow suit. I found your blog on Pinterest and I couldn’t have been more thrilled. I’m a student and my 12 yr old sister has Downs and I LOVE seeing inclusion in any aspect. She still has no clear speech and we’re currently working on more that 2 word understandable phrases so to see kids like her being successful is so promising. Being a special ed major in school and seeing the public making moves like this literally just warms my heart. I love that you have a blog following your son (he is so beautiful!) because not many families know what it’s like raising a child with a disability, let alone Downs. Big changes to come my friends 🙂 It’ll only go up from here. Just wanted to say that Target has been using kids with disabilities for quite some time. My daughter Hannah has down syndrome and she is soon to be 21. She was featured in an in store ad across the country. The ad was for kids clothing. Her picture was clipped onto of the kid’s clothing racks for quite some time, months actually. She did that when she was 3, 18 yeaars ago. I have always loved Target and remember when Hannah was a baby always looking in their ads for kids like ours. Another company that was pretty good at using kids with Downs is Toys r us. Love your blog. I have a 6 month old granddaughter with Down Syndrome. She has had heart issues, had surgery 6 weeks ago and is doing ok. She has a few problems yet but we are all waiting to see how she progresses. My Ryan is almost two years old, has DS and made it through two open heart surgeries before his first birthday. He is such a trooper already walking and waving hello to everyone he sees. He brings a smile to my face every day and I am thrilled to see more people with DS included in all aspects of society, incuding TV and advertisemnets. When I saw the story on NBC news tonight about the Target ad, it gave me even more hope that my Ryan’s future will be filled with opportunities for him to be included and accepted. my son, Gabriel, is 18 months old and has ds. we have been very lucky that he has not had any health issues except for colds and he is getting tubes put in this coming Monday. It has been a hard road for me-I was told when I was pregnant with him that he was fine and did not have ds. not even 10 mis after he was born the dr told us the news. I am much better with it now, and seeing this site and reading about other children with ds and becoming more involved in the program in our state has all helped. I like to see companies like Target and nbc nightlynews do such a nice article-every child should get the same chance!! Wonderful! As I read this I thought, “Normal” is a word defined by the size of each individual’s heart and the openness of their mind. Thanks for your blog and wonderful insights. What an absolutely wonderful blog! I, too, am a single Mom of an absolutely wonderful 21-year-old son with Down Syndrome. 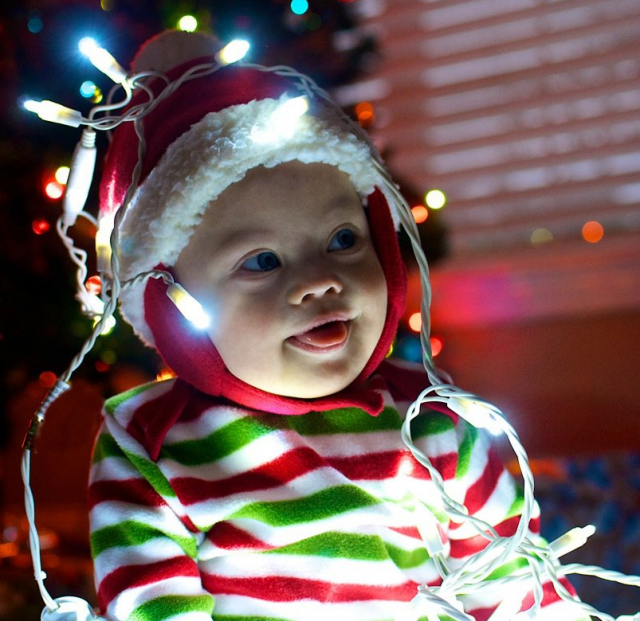 Your son’s photo with the Christmas lights is absolutely superb!! It’s not always easy, especially when you’re a single Mom, but then my son just smiles at me, and somehow everything seems to melt away. He is wonderful….and the absolute light of my life! I AM INDEED BLESSED, AS IS HIS OLDER SISTER. I agree… Thanks Target,, Toys R Us,, Nordstroms,, and any other retailer that “mixes it up”. Our daughter is about to be 12,, and yes she has downs,, but she ISN”T downs.. she just has it. She is soooo much more than that. She love Scooby, Barbie, her dance class, swimming, and her friends and family. We homeschool and she is at 5th grade in some of her subjects. She does have areally hard time reading, but great in math. She is really having a hard time with some bones that decided to grow the wrong way in the last few years, and prayers would be great! Otherwise, she has been healthy. I really love when people don’t prejudge our kids. They’re more like others, than they are different. Thank you. This is another reason why I shop at Target. I will be honored to follow the story of your son. Having worked at a preschool for children with various "special needs" I know the loving hearts of these children. Lucky Noah, lucky Dad, luucky Mom. I have fallen in love with this beautiful child. You are so blessed to have been given such a gift and he in turn is lucky to have you. I can think of one store in particular (usually found in the mall) that wouldn’t dare do what Target has done. I won’t mention names but they have been in the news in years past for being discriminatory against employees with different levels of abilities. I wish all of you nothing but the best in years to come! Thanks for the notice of Target’s ads. I work as a board member for The Rise School in Austin, Texas and could not agree with you more! Let’s change the status quo for these precious kids! As a parent of a 16 yead old with downs I no how special these kids are and Eric ia a huge part of our town in Belmont MA.The people all no Eric and love him!I love Target even more now! Your son it’s beatiful! I have a sister with Down Syndrome. Unfortunately, here in Brazil it doesn’t happen…. I work with people who have different abilities and was impressed with Target employing one of these people, so much that I woukd allow my my 16 month old daughter to particioate in Targets child model program. Mary will grow up knowing that there is only equality in this world, Accolades to you and Target. I have three kids with DS, the oldest almost 16. Since she was about 8 Target (based in Minneapolis where we live) has done a yearly casting call for kids with special needs. I think it’s kind of like when you buy a new car, suddenly you notice the same make and model everywhere you go. Before you had your child with DS you probably saw people with DS all over the place but never noticed them. Now you have your son and you’re hyper-aware. Kids with DS have been in the Target ads for several years. Kudos to them!!! Yeah Target! I knew I loved you! Congratulations on your beautiful boy! Welcome to the club. Bravo!!!!!! Target….I hope others companies take this example…. Do you have a child with Down syndrome by the way? I think this is awesome. I wish more companies would include kids with special needs in their advertising. I expect to see Noah someday in a advertisement. He makes me smile every time I see his little face. My sister, who will be 33 in December, has Down Syndrome and is just a joy! I love that Target so seamlessly used this adorable little guy as a model without bringing attention to it. I feel like companies that go out of their way to point out when they use models with disabilities are not really doing it with the best intentions, but are just trying to get a pat on the back. I hope more companies follow Target’s lead! I had recently read this blog post, and when I saw this advertisement using a baby with a cleft palate on a website while looking for teething necklaces, I just loved it. It is exactly the continuation of the message, http://www.bambeado.co.nz/NZ/Baby/Bracelet The more companies that do this, the better. I just wish there was a “wall of pride” to post it to. First of all, Down syndrome kids are the cutest and most precious so it brought a smile to my face to see one featured in the ad. Secondly, if ads are supposed to represent the population by having all races, sizes, shapes, etc then people with other conditions such as Down syndrome (among others) should be featured as well. Thanks Target for letting that little boy rock that extra chromosome! Way to go target!!!! I am so happy to see that they are showing the world that each child is unique in their own special way!!!! Way to rock it! Awesome! I did NOT see the ad, I”m glad you pointed it out. Great to see Target do this. I’d LOVE to see my Jack in an ad… he’s a cutie. So is our little guy!